What are Routine Dental Checkups? Routine dental checkups are your regular visits to the dentist, which involves a thorough examination of your teeth and oral cavity. The dental check-up will also include an assessment of your needs with regards to dental treatments, so that you can have the treatment that you need to maintain good oral health. Regular visits to the dentist are also needed so that any dental problems that exist can be detected in the earliest stages, making the necessary treatment easier to manage before the problem gets even more complicated. 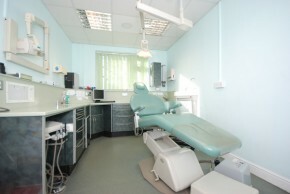 We understand your need to have all the information before even considering a dental treatment. This is the reason why we place a very high importance in providing transparent information. We do our best to explain every aspect of your dental treatment and will let you know what options are available, so you can make an informed decision when it comes to your treatment. Payment plans and the fees for treatment are presented in a clear manner to help make the financial aspect of the treatment much easier to understand. We also offer 0% financing plans to help ease your mind with the payment for the dental treatment that you need. A comprehensive examination of your teeth, mouth, and gums; this will be carried out by the dentist to determine your oral health condition. You can expect questions about your overall health status, as well as questions regarding any problems you have noticed (about your teeth, gums, and overall dental health) since the last time you went for your dental check-up (if you are an existing patient). If you are a new patient, you might be asked when your last dental appointment was. The dentist can ask you about your oral hygiene practices, such as how you brush your teeth, and if you use dental floss. You can get valuable tips as to the proper way of oral health care at home, so that you can take care of your teeth in the most efficient manner in between dental checkups. Dietary advice can also be given to you during the dental appointment, so that you will have a clearer idea of what food and beverage items are most beneficial in the maintenance of good dental health – and which items should be avoided if you want to keep your beautiful smiles for a longer period of time. In cases when a dental treatment is needed, this procedure will be discussed thoroughly to give you an idea of what to expect, even before the actual treatment. The accompanying risks, advantages, disadvantages (if any), and the corresponding cost of the treatment will also be discussed comprehensively. A recommendation on when your next dental check-up should be will be discussed, after which you can set an appointment to come back at the agreed upon date. Why have Routine Dental Check-ups? Dental checkups are important in the achievement and maintenance of good oral health. The regular visits to the dentist can help in the early detection of dental problems, so that they can be diagnosed and treated properly before they have a chance to develop into a more complicated problem. The check-ups help maintain an already-good oral health condition, for smiles to be enjoyed for a longer period in a lifetime. Who Can Have Routine Dental Check-ups? Routine dental check-ups are for everyone who wants to enjoy good oral health – and keep this status for as long as possible. It is also for those who want to monitor existing dental problems, to prevent them from progressing into more complicated concerns.